Dan Forest has served as Lt. Governor of North Carolina since January 2013. Prior to becoming Lt. Governor, he received two degrees from the University of North Carolina Charlotte (UNCC). After college, Dan became a leader in the business community for over 20 years, having served as Office President and Senior Partner of the state's largest architectural firm - Little Diversified Architectural Consulting. Dan has been designated as an Architect Emeritus. A father of four, he and his wife, Alice, reside in Wake County. 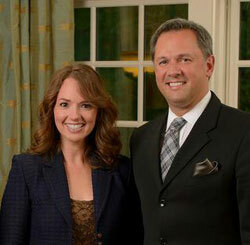 Alice Forest is the wife of Lieutenant Governor Dan Forest. A native of Shelby, North Carolina, Alice graduated from Shelby High and attended UNC Charlotte prior to working in Human Resources for the former First Union Corporation. For the past seventeen years, Alice has homeschooled her four children, who range in age from 13 to 25. This morning, Lt. Governor Dan Forest released the following statement: "It's a sad day when the governor of any state, no matter the circumstance, chooses to not protect the life of a helpless newborn baby." This afternoon, Lt. 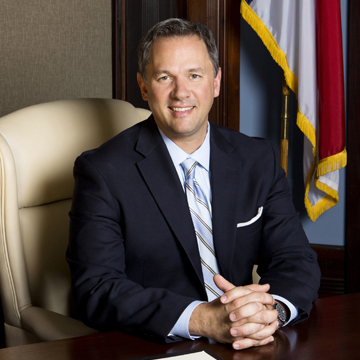 Governor Dan Forest released the following statement: "Today, the North Carolina Senate will vote on the Born-Alive Abortion Survivors Protection Act (S359), which protects babies after they have survived an abortion attempt. I urge members of the Senate to pass this legislation, for the House of Representatives to follow suit, and for Governor Cooper to immediately sign it. No matter the circumstance, the life of a newborn child needs to be protected." 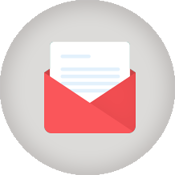 Sign up for Lieutenant Governor Forest's e‑newsletter to receive regular updates on his work in Raleigh and around North Carolina.